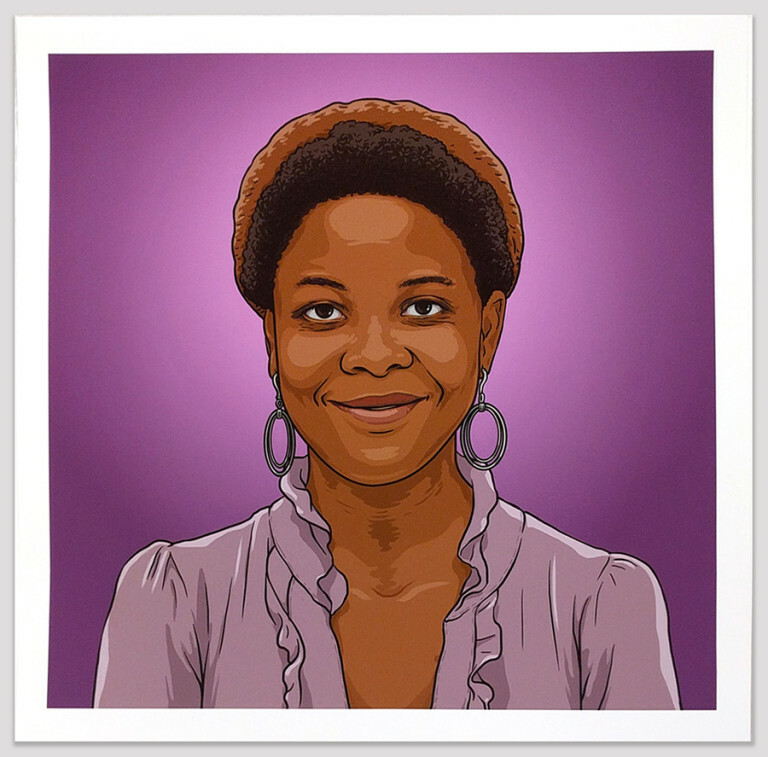 Created by Bay Area artist Jenifer Wofford, this print is a portrait in memory of Ebony McKinney, Bay Area arts leader. Print series to support two of Ebony’s favorite arts organizations, Red Poppy Art House and Emerging Arts Professionals. $40 of the sale of each print will be given to one org (let me know if you have a preference), and a receipt confirmation will be forwarded to you. Please visit wofflehouse.com/ebony-print to purchase. By Jenifer K Wofford: artist and educator. 1/3 of Mail Order Brides/M.O.B. artist trio.